Hello Franklin, let's talk about brakes. But the mechanical aspects of the brakes themselves are just one issue. There's also the power brake pump and brake fluid. And then there are the tires, which are critical to the effectiveness of the brakes. Let's step back. A new vehicle or truck rolls off a local Franklin showroom floor. It has brand new brakes with brand new brake pads. The brake lines and pump are filled with fresh fluid and are completely clean inside. And the tires are brand new, with full tread. It is ready to go. Naturally, braking power is at its peak performance. Now the miles/kilometers start to add up on the vehicle. Franklin drivers tend to focus on the brake pads. In the automotive business, the pads and shoes on drum brakes are called the friction material. That's because they provide the friction used to stop the vehicle. The pads are designed to be effective throughout their useful life – it's not until they are worn so thin as to be out of 'specs' that they lose their ability to stop. The mechanical parts of the brakes have pistons and springs that get quite a workout while breaking. Over long distances around Michigan, these wear and get gummed up. They start to lose effectiveness gradually and could even fail - a scary possibility. That's why a regular brake inspection at Franklin Auto Service is important for your vehicle and your family's safety. At Franklin Auto Service we can test the operation of the brakes and see if any parts need cleaning or replacing. That leads us to brake fluid service at Franklin Auto Service. Some of the critical additives in the fluid that lubricate and clean the vehicle fluid system are depleted over time. That and moisture building up in the system reduce the performance of the brake fluid. A brake service at Franklin Auto Service cleans out deposits, water and dirt. Then the system is filled up with fresh fluid. This is especially important on wet Detroit area roads and surface streets. Studies have shown that wet stopping distance increases significantly as tires wear down. 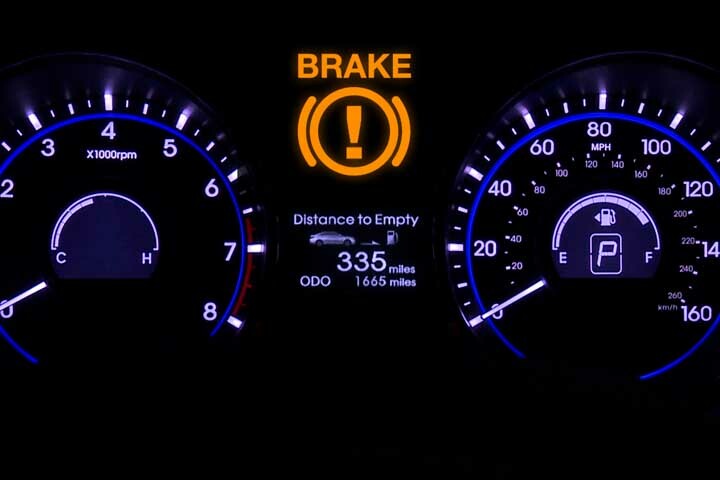 Michigan vehicle owners need to understand that they can have brakes that are operating at peak efficiency and yet still be in danger because their tires are worn out.